Below is the January horoscope and monthly astrology overview – 2017. Scroll down to find the monthly horoscope for your zodiac sign! Horoscopes are provided for you, Beautiful Soul, by internationally recognized astrologer, Sara Gilbert. Visit her site LifeSpiritConnections.com.au and book your astrology reading with Sara, today! 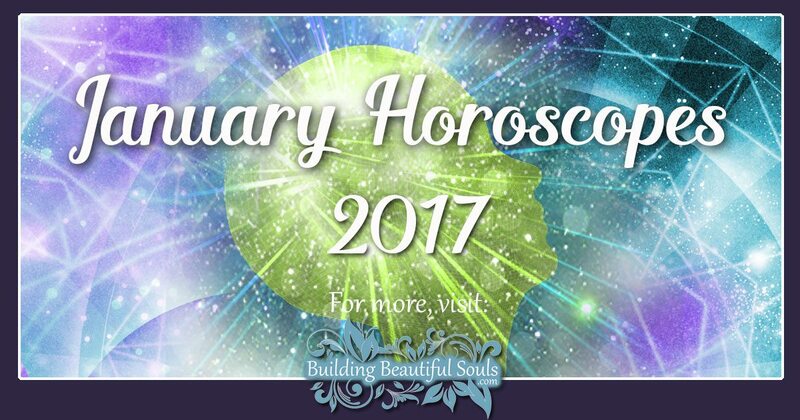 Breaking free of bonds and out of self created prisons is the theme of the January 2017 horoscopes! This is excellent because, whew! There were some pretty heavy duty things on your mind as both the Sun and Mercury came to a standstill for the Solstice on December 21. Of course, this isn’t surprising as we moved into the ever practical and serious energy of Capricorn – the Sea-Goat. With the ruler and Lord of Karma (Saturn) sitting close by, hard work and getting real about life was (and still is) on your agenda. The “trickster” Mercury just recently slowed to turn retrograde, so it’s time to redo what has gone before and look for the devil in the details. Double check all your travel arrangements over the holiday period and make sure you don’t forget anyone on your Christmas lists! Major change will be on the horizon just after Christmas Day as the “big boys” Jupiter and Uranus oppose each other. This planetary opposition challenges you to examine any responsibilities that limit your freedom. Saturn puts tension on Chiron (the Wounded Healer) at the time of the Capricorn New Moon – December 29. This is a very ‘in your face’ energy as it demands that you stop blaming everyone else for your past issues and start fixing them for yourself! You can do it! Plus, moving away from the victim mentality and into the energies of independence and personal strength will make 2017 a great year! In fact, it looks like work and personal relationships will be under the spotlight just in time for your New Year’s resolutions! 2017 is the start of a new nine year cycle so tidy up all those loose ends before the end of 2016 and plan big for the future! There could be a lot of confusion, daydreaming, and imagination flying around in early January. This is when Venus and Mars join Neptune in Pisces (the zodiac sign of sensitivity) and these two planets create quite a party! The Full Moon on January 12 looks like a doozy with the Cancer Moon connecting with Chiron and Medusa. At the same time, the Sun connects with Pluto and the asteroid Horus – the Egyptian Savior Sun God. Remember, in the Greek myth, Medusa lost her head and Horus lost an eye so make sure all your senses are intact. The Sun and Moon form a big square pattern in the sky with Jupiter and Uranus. This symbolizes the ultimate power battle of the Gods, with the Moon on the receiving end. So, watch out for plenty of family power plays. With the Moon in Cancer, and too many male egos, family alliances and allegiances get pulled in all different directions – kinda like Game of Thrones. Finally, watch out for your rose colored glasses on January 13! Fortunately, its only for one day but Venus merges energy with Neptune in the middle of all that Pisces and it will be so easy to have the wool pulled over your eyes by those you love. No big decisions, please! Life could become a little frustrating on January 19 as Mars squares Saturn for a day or so and its hard to get your deals across the line. But, praise Buddha, the Sun moves into Aquarius on January 20 and a whole new energy begins for a month! Just how much freedom do your current relationships allow you, Aries? Do you have room to breathe, or are the responsibilities too heavy? The next few months will test you. There are a few especially critical dates and December 27 is one of them. The past will play a key role as Uranus, planet of unexpected change, cuddles up close with Mnemosyne, Goddess of Memory, as well. By the Full Moon on January 12, you will have the impetus to make your moves as she is replaced by powerful Ishtar the ancient Mesopotamian Goddess of Love and War. Issues between your career and family life are likely to bring things to a head, but Aries, as always, is in the driving seat. It’s time for Aries to stop blaming others for the restrictions that partnership places on them and to decide what the alternative might be. Juno Goddess of Marriage links with Saturn encouraging Aries to be selfish and stand up for what kind of relationship feels right, deep down at a soul level. Healing Crystals & Stones: The Zodiac Sign Aries is often criticized for being too selfish, but this month you need to be! Ruby will be the best stone to stimulate Aries’ fire and self-interest, enabling you to put your own requirements first with no feelings of guilt! 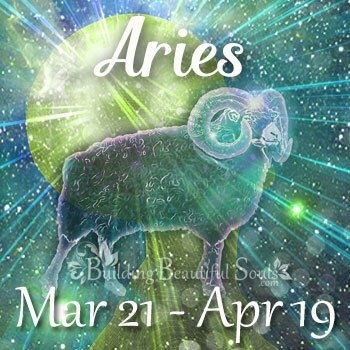 Click to learn all about Aries Traits, Personality, & Characteristics! Looking for love? Click to read all about Aries Compatibility! Have an Aries Daughter or Son? Click to read all about the Aries Child! The Solstice Sun on December 21 opens up a season of expansion and adventure for Taurus! However, don’t let Mercury Retrograde put your plans on hold; just plan it all out with your usual methodical and thorough approach and you will be fine. Its time to kick up your heels and smell the roses! Make the year’s hard work worth it! As you relax a bit during the end of the year, responsibilities you adopted on the work front may be start to pall. You begin to ponder on the limits placed on your ability to have enough “me” time, to do the things which make you feel centered and safe. The Cancer Full Moon shines the light on how Taurus can negotiate a better deal for his/herself, allowing more time for sensual pleasures. Beware of schemes initiated by a group of friends around January 13. Venus (your ruler) will be under the influence of Neptune, so you will be susceptible to seeing their motives through rose colored glasses. Healing Crystals & Stones: Taurus you can encourage yourself to enjoy life to the full with Emerald, as it will help you to connect to your inner sensual nature which can be quite hedonistic. It will also help Taurus find the loyal and steadfast love you associate with domestic bliss. Click to learn all about Taurus Traits, Personality, & Characteristics! Looking for love? 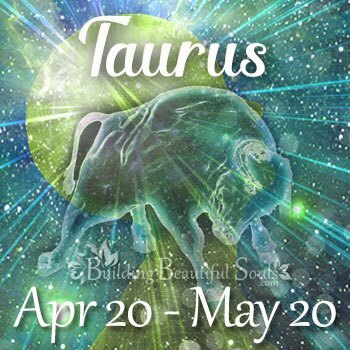 Click to read all about Taurus Compatibility! Have an Taurus Daughter or Son? Click to read all about the Taurus Child! Immediately after Christmas, responsibilities involving children or how you express your creativity is likely to weigh heavily on the Gemini heart. The sign of your rulership, Mercury, will be moving back over issues to do with your partner’s finances, or money or energy you have invested in some way. The Capricorn New Moon on December 29 will seed a new solution, that could pay dividends in a couple of months time. A new association or group of contacts could play a role in freeing up your time. The New Year heralds in new information for Gemini! This information fires up your imagination regarding what your real role is in life. Saturn merging energy with Juno the Goddess of Marriage at the time of the Full Moon will offer Gemini a practical solution to a relationship which is putting the brakes on your individuality and making you feel trapped. Healing Crystals & Stones: Kyanite, Gemini’s Ascendant stone, will help you cut through the superficial nature of your mind to the core of what really matters. With this powerful healing stone, it’s possible to connect directly to the Universal Mind and greatly heighten your natural intuition during this month. 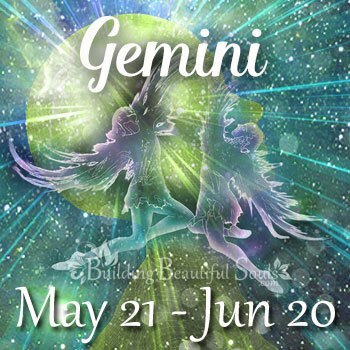 Click to learn all about Gemini Traits, Personality, & Characteristics! Looking for love? Click to read all about Gemini Compatibility! Have an Gemini Daughter or Son? Click to read all about the Gemini Child! On December 21st, as the Sun moved into their opposite sign of Capricorn, Cancers may have experienced some misunderstandings within their relationships. Communication with your nearest and dearest could become a little thwarted at times as Mercury makes his influence felt. However, by the time your Full Moon shines her light on January 12, all will be clear! So, take a deep breath. You will feel safe and secure in your future together, once more. Changes to Cancer’s liabilities on the home front are liable to unfold after Christmas. This Zodiac Sign may decide to move to a smaller property or one which requires less upkeep. The call to simplify is your soul urging you to free up the sacred time and create the sacred space needed to pursue a project or career or take on a role that is closer to your heart. It’s high time to invest only in the persons, places, and situations which meet your individual needs more specifically. Blast from the past alert! All this sacred space making and time clearing may involve reconnecting with something or someone who you expected to remain just a memory. Mnemosyne encourages you to relive the past in some fashion and it could be great! Healing Crystals & Stones: Pink Chalcedony will support the Cancer Zodiac Sign through the emotional upheavals of the month ahead, helping Cancer be kind and empathic but also reflect their loved ones feelings back to them so they can see themselves better. 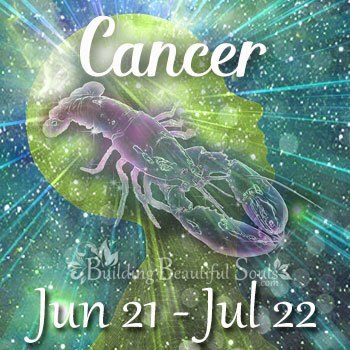 Click to learn all about Cancer Traits, Personality, & Characteristics! Looking for love? Click to read all about Cancer Compatibility! Have an Cancer Daughter or Son? Click to read all about the Cancer Child! As it enters the sign of Capricorn (the Sea Goat), Leo’s ruler, the Sun, initiates a new three month vision! During this time, it’s important for the lion king or queen to give attention to their health – meaning, how and what can you do to be healthier in mind, body, & spirit. Leo’s will find new practical ways to keep fit and be effective in achieving their goals on a daily basis. This Zodiac Sign can achieve this by reflecting back with Mercury over what has worked (or, alternatively, failed) to keep them motivated in the past. The end of the year is a key time for Leos to free themselves from any outdated communication methods that are not enabling them to reach wide enough out into the world with their inspirational and encouraging marketing messages. These changes will enable Leo to move into new roles or take on a new status which suits their personality purrfectly. Look for this occur before April. Around the time of the Full Moon it will become clear to Leo just what kind of commitment they are looking for in a certain love affair. Saturn’s connection to Juno will enable Leo to determine whether they require a higher level of loyalty, likely to equal their own. Healing Crystals & Stones: Topaz will help Leos overcome any limitations felt in making the necessary changes. It will provide the stimulation to move in a different direction, something fixed signs are not good at. Leos will gain the recognition you crave and have their natural Leo generosity brought to the front in spades through this energy. 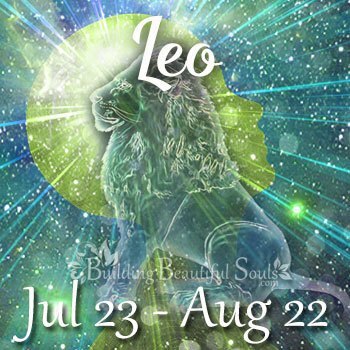 Click to learn all about Leo Traits, Personality, & Characteristics! Looking for love? Click to read all about Leo Compatibility! Have an Leo Daughter or Son? Click to read all about the Leo Child! Financial commitments are likely to be on your mind during the holiday season, Virgo. Try not to have that analytical mind going too fast and furious. Slow down! Try to free yourself up, not tie yourself in knots. During this month, your ruler (Mercury) is doing his retrograde dance around your children and the way you get pleasure out in the world. So, make sure all your technology and travel arrangement are in order in both those areas of your life. Pay special attention to this through the end of January. This Zodiac Sign is likely to find the boundaries hard to pin down within any relationships or partnerships. There will be a strongly Piscean energy and influence there during January when Venus and Mars join up with Neptune, Chiron, and the South Node. Be extra careful around January 13. With Venus and Neptune merged together it will be easy to see the potential in people or situations rather than their reality. Healing Crystals & Stones: A meditation with a piece of Moss Agate will connect Virgo to the earth energy needed to ground yourself, overcoming your sensitivity and nervous anxiety to making change. Click to learn all about Virgo Traits, Personality, & Characteristics! Looking for love? Click to read all about Virgo Compatibility! Have an Virgo Daughter or Son? 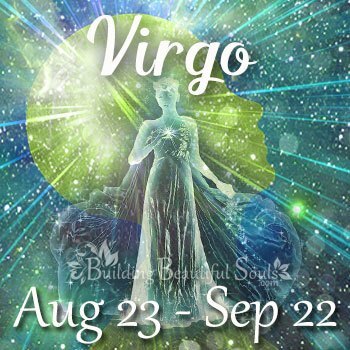 Click to read all about the Virgo Child! What responsibilities have you taken on in order to make yourself look good Libra? Are your scales somewhat out of balance right now? You are very good at trying to keep everybody happy and ending up pleasing no one. Now is the time to look carefully at your half of being a couple (in personal and professional relationships). Don’t be surprised if some major changes occur by the end of April. As the Sun enters Capricorn on December 21, your Home is under the spotlight. 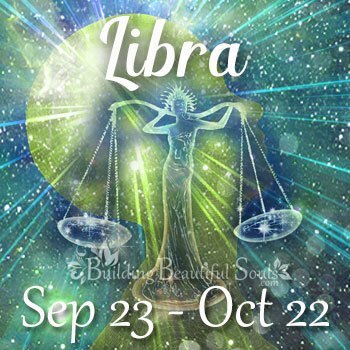 Libra’s will be going back over some of the changes they have made over the previous few weeks. You’ll be seeing what has worked and what needs to be revamped so as to become more practical. The Full Moon on January 12 will clarify any decisions which need to be made to balance your working life and your home life. All should be to your advantage. Healing Crystals & Stones: Blue Sapphire the stone of peace resonates nicely with Libra’s desire for a tranquil life. It also helps Libra overcome the chronic indecision which can hold you back from moving ahead. Click to learn all about Libra Traits, Personality, & Characteristics! Looking for love? Click to read all about Libra Compatibility! Have an Libra Daughter or Son? Click to read all about the Libra Child! The period of December through to the end of January is a tricky one for Scorpios! Mercury performs his entire retrograde cycle across the areas of your life affecting travel, telecommunications and communication. So, keep your eye out for delays, changes, glitches and misunderstandings. This energy will be strongest around the time of the Capricorn New Moon, which is just after Christmas through to the first week in January. All that said, this is a good time to review these areas of Scorpio’s life and get them working smoothly for once and for all! From now on it will be much smoother sailing. Be aware Scorpio – you’ve done great! Some things that you haven’t been proud of (and that you’ve chosen to keep secret) are actually the experiences that have given you an even stronger backbone. By using the lessons learned from these experiences, the next four months give you great opportunity to be of service to a wider range of people. No more hiding! Let them see what you are really capable of. You will be surprised how good it feels! Healing Crystals & Stones: Smokey Quartz is an essential crystal to help emotionally intense Scorpio fortify your resolve and gives you strength to deal with the difficult times. It helps Scorpio with both detoxification and elimination in all areas of your life. Click to learn all about Scorpio Traits, Personality, & Characteristics! Looking for love? Click to read all about Scorpio Compatibility! 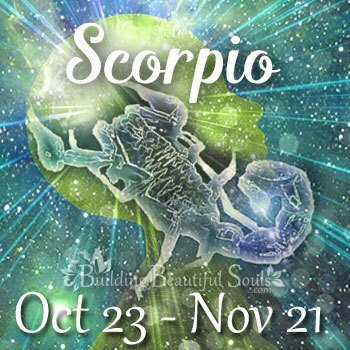 Have an Scorpio Daughter or Son? Click to read all about the Scorpio Child! Sagittarius may find themselves pulling back from a commitment made in the past. Perhaps it was to work with a committee, or group of friends who share the same ideals and values as you do. This commitment has caused resentment to build up because you haven’t had enough free time to spend enjoying your children, expressing your creativity or just plain having fun. So, in true Sagittarius fashion, you’ll say, “I gotta’ be free!” Enough is enough you will be moving on. At the time of the Full Moon on January 12th, this Zodiac Sign could be faced with important decisions around whether to formalize their primary relationship through marriage. There could be quite a lot of confusion on the home front in January in general, as sensitivity levels will be higher than usual amongst family members. Around January 13th make sure you don’t allow your natural optimism to cloud your decision making around affairs concerning those you love. Healing Crystals & Stones: Sagittarius will benefit greatly from their alternate Sun birthstone Turquoise at this time to provide Sagittarius with protection on your journey and attune you to the spiritual realms. Click to learn all about Sagittarius Traits, Personality, & Characteristics! Looking for love? 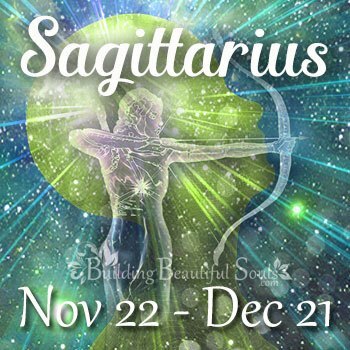 Click to read all about Sagittarius Compatibility! Have an Sagittarius Daughter or Son? Click to read all about the Sagittarius Child! Work projects or ambitions you have hitched your wagon to may be wearing you down, Capricorn. The Christmas break is a great time to consider how they are limiting your ability to run your family life and your home life in the way that really suits you. Yes, we all know how responsible Capricorns are and that backing out of a project or promise is tantamount to a Capricorn giving up national secrets. Too bad. It’s time to consider how practically the commitments you have made are working out and make the appropriate changes. You should able to take charge of your life during this time – particularly on January 7th when Pluto is working with your Sun. At the time of the Full Moon in Cancer it will be apparent just what you need to give up and your ruler Saturn will help emphasize what is really right for you. If you do what the Universe and planets are suggesting is for your highest and best, you should see the benefits of the changes you make by the end of April. And, yes, we all know that Capricorn never thinks it needs outside counsel but we are talking about getting advice from the Universe here – so pay attention! Healing Crystals & Stones: Capricorn often finds it hard to open up to their emotional needs, tending to repress them and focus on the material ones which are much easier to deal with. Magnesite their Moon stone, will help Capricorn love themselves, which is an essential preliminary to accepting love from others and obtaining the deep emotional connection Capricorn craves at a soul level. Click to learn all about Capricorn Traits, Personality, & Characteristics! Looking for love? Click to read all about Capricorn Compatibility! 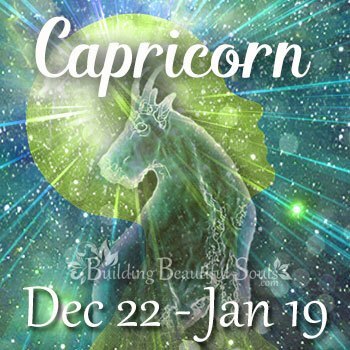 Have an Capricorn Daughter or Son? Click to read all about the Capricorn Child! Aquarius is never remiss in telling it like it is, so everyone should hold on their hats! During this month, Aquarius will have even more truthful truths to speak! This Zodiac Sign gains an even more clear vision of who you need to tell what. This occurs as you realize what serious responsibility the belief system you hold about equality in relationships has caused for you. It’s time to rethink what the truth really is and open up your ability to learn about who you really are and what you really need. Really! The Full Moon on January 12 will clarify this truth-speaking mission by illuminating the things you do on a daily basis that are no longer necessary. Further, you’ll be shown what you should actually be doing behind the scenes instead. Delays to these secret matters have been experienced from December 21, but the way will become super clear at the end of January. Healing Crystals & Stones: Holding Aquamarine over your breastbone will allow Aquarius to feel comfortable being transported into the future and help Aquarius see the qualities that will be needed there and the changes that must be made to move there smoothly. 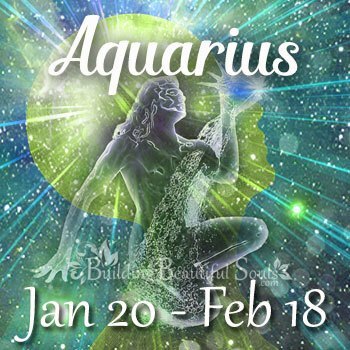 Click to learn all about Aquarius Traits, Personality, & Characteristics! Looking for love? Click to read all about Aquarius Compatibility! Have an Aquarius Daughter or Son? Click to read all about the Aquarius Child! Pisces finances are under the spotlight at the moment and changes you make this month will influence your cash flow through much of next year. Success is a question of tuning into those legendary fishy instincts. Ask yourself about what is really aligned to your true nature before you commit. Also, get the best advice possible about how to organize your investments as well as balance finances between your partner and yourself. Some plans will undergo change during the month. Specifically, this could involve a friend’s traveling arrangements over the holiday period or technology you are managing for a group or association. The Full Moon will see a marriage connection having an impact on Pisces. Perhaps this Zodiac Sign will be gaining a promotion or moving into a position where they are respected more by the community. 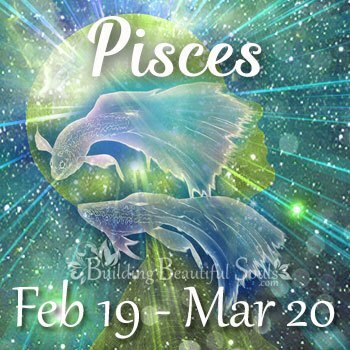 However, Pisces should avoid making any decisions around January 13th as their thinking will be easily confused by the way they feel about the parties concerned. Healing Crystals & Stones: Blue Lace Agate is a great grounding influence for Pisces helping them feel safe and able to see the way forward more clearly. Holding it over your solar plexus you can imagine energy flowing out to surround you with a cloak of protection. It will also ignite your creativity and power of manifestation. Click to learn all about Pisces Traits, Personality, & Characteristics! Looking for love? Click to read all about Pisces Compatibility! Have an Pisces Daughter or Son? Click to read all about the Pisces Child! This entry was posted in Free Monthly Horoscope & Astrology Predictions. Bookmark the permalink.